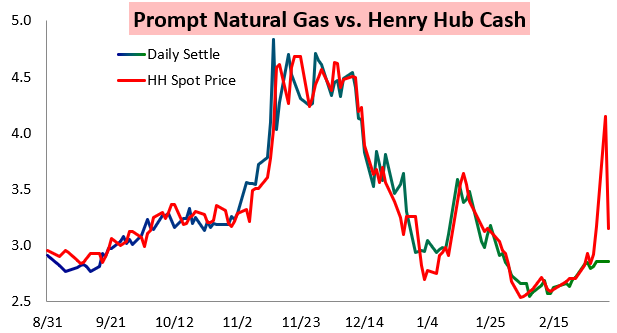 Attention today turned to low storage levels, as a growing storage deficit to last year kept a bid in April natural gas prices, allowing the contract to settle up nearly 3 cents on the day. 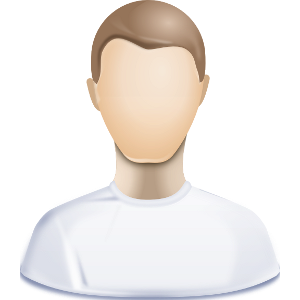 The rally came in spite of much weaker cash prices today, with cash trading a full $1 under yesterday's levels. 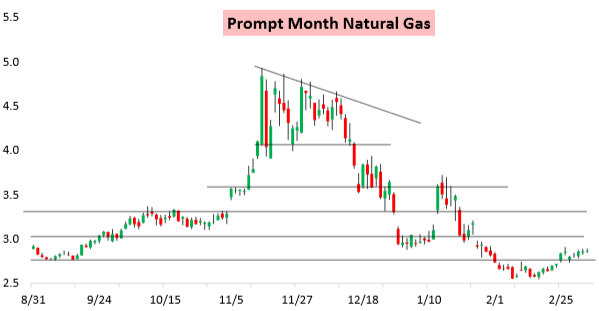 Forward spreads tightened today as well, especially the J/V April/October spread, which progressed quite a bit higher today despite the relatively small move in the April outright contract. 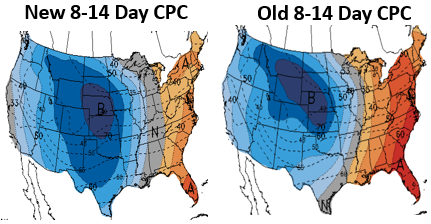 The low storage concerns are exacerbated by rather tight balances thanks to extreme cold across the country the last few days. 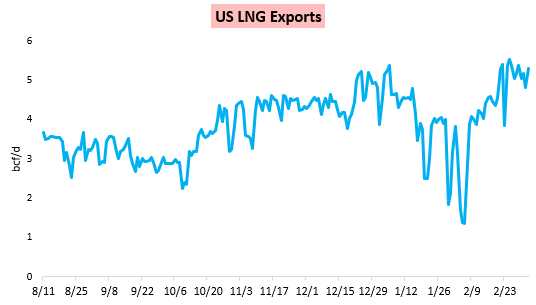 Alongside significant demand, we are still seeing LNG exports near highs, too, which have helped balances run tight since exports recovered back in mid-February. Yet some of this tightness will certainly be transitory, as temperatures will moderate quickly across the country over the next few days. 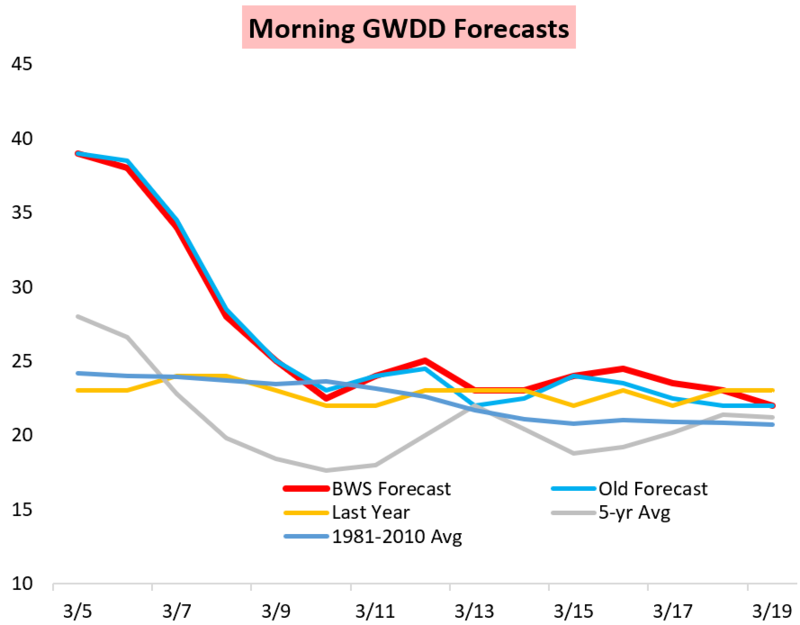 Still, as we noted in our Morning Update, some cold will remain, and overnight GWDD additions clearly added support to the forward curve today. Climate Prediction Center forecasts continue to show colder trends this afternoon too.